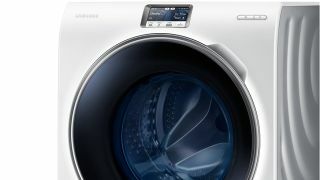 Samsung and LG are in a spin yet again, and this time it's over a case of alleged washing machine vandalism, with Samsung accusing its South Korean rival of damaging a number of its clothes washers in stores. According to the complaint, LG employees were seen destroying a number of Samsung's high-end washing machines at two German stores this month, just ahead of the Berlin IFA show. LG's sort of come clean on the matter, but says nothing was intentional. Using the opportunity to take a cheeky swipe at its rival, LG said that the execs had only inadvertently damaged the doors because the model had weak hinges. LG even said that German police had stepped in to question some of its officials following the incident, with Jo Seong-jin, president of LG's home appliance division, named as one person directly involved. LG says it agreed to pay for four damaged machines at one store, though it's adamant it only broke two of them. Speaking of IFA, here's some stuff you might have missed.